Scott #O98, 3c Interior, on soft porous paper, top imprint and plate “No. 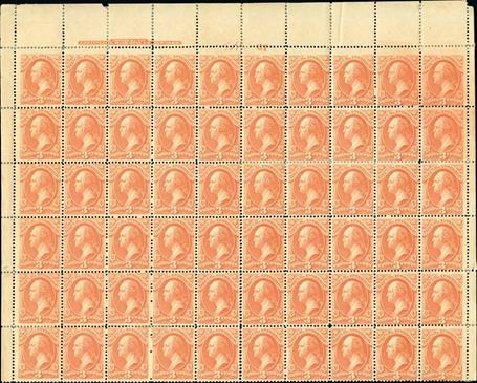 27” partial sheet of 60 being the top six rows with selvages, bright color, overall quite well centered with most stamps fine-very fine, perf. 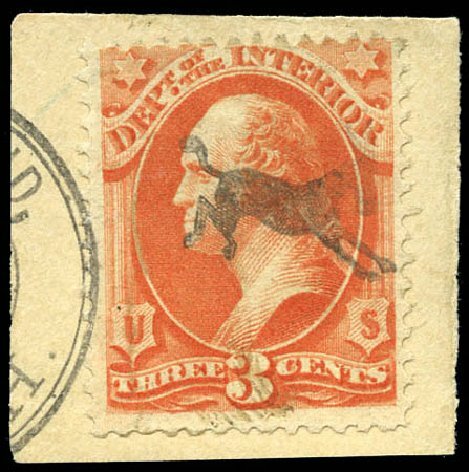 separation is present with some hinge reinforcement including in the plate block of ten, of the remaining 50 stamps 27 are never hinged, a scarce multiple; catalog value is for a plate block of ten, 23 hinged and 27 n.h. singles.